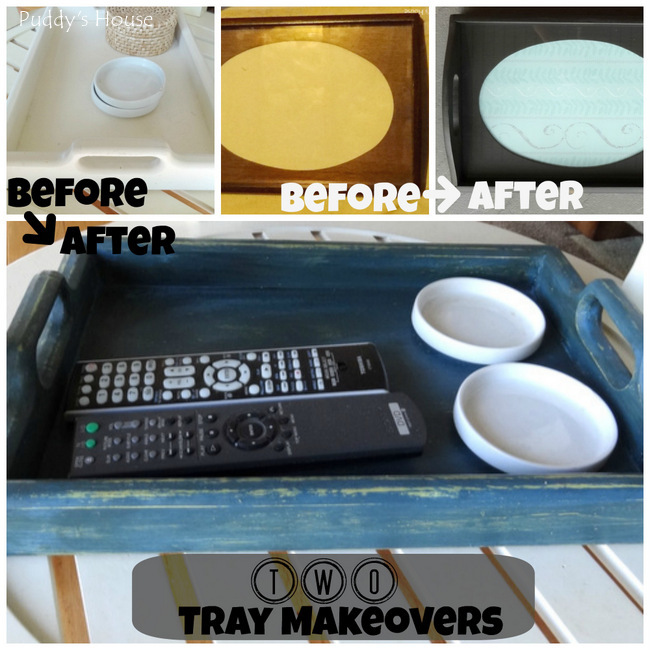 I had these two trays and they both desperately needed a makeover. 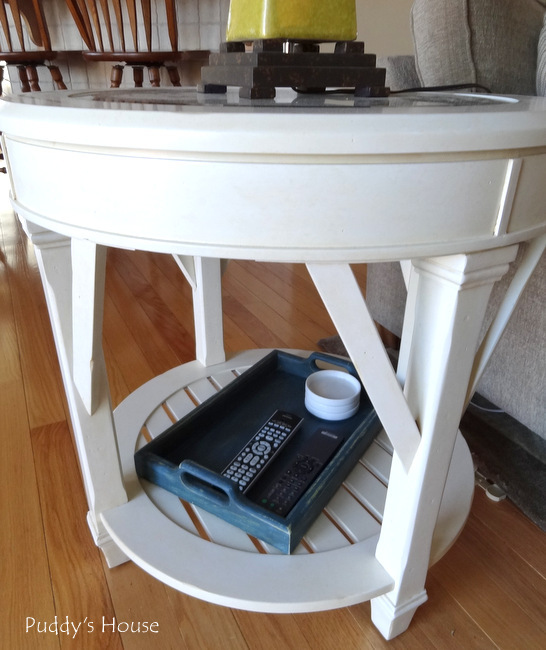 The white tray was an old yard sale find that I had previously spray painted white, but that was back when we had a wooden coffee table in the living room. With the new living room furniture the white tray didn’t really look pretty on the new end table, so I decided it needed a new look. My first thought was spray paint because that worked for me before. 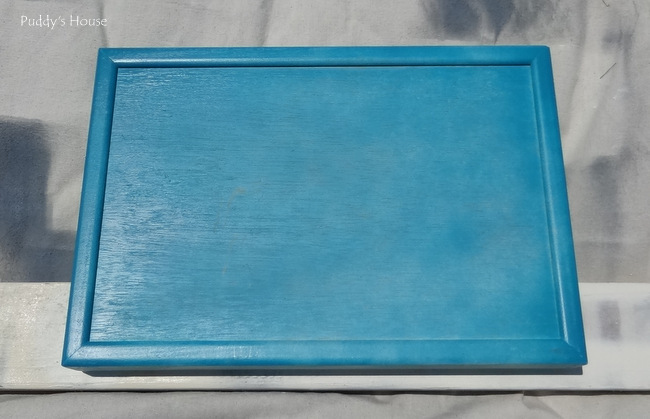 I gave it a few coats of this Rustoleum spray paint and it was quite bright. So, then I decided it needed to be lightened up a bit. I had a sample size of Valspar’s Spring Green paint. I brushed on a few coats of that. Still wasn’t a look that I wanted, so then I decided to add another layer. 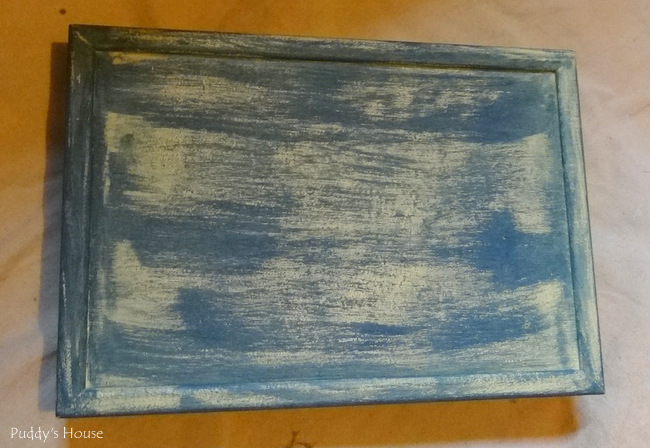 This time, I used Annie Sloan Chalk paint in Aubusson blue. 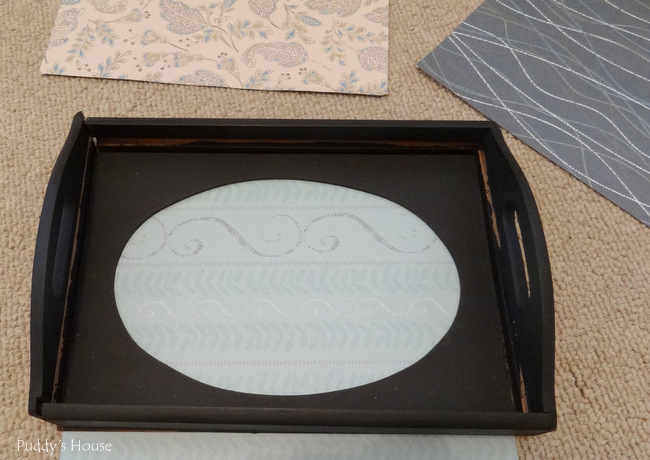 I was definitely using all the various paint types and brands that I had in the house! For my first coat of blue, I tried to just lightly apply it to see what look I got….not a look I wanted. So, I went ahead and added a second coat of blue. 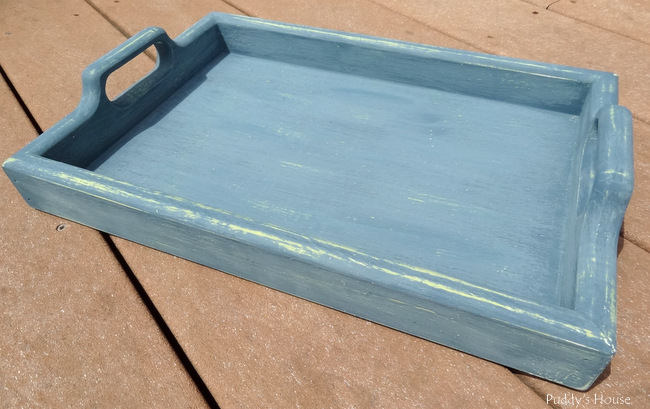 I liked the blue, but I wanted to see part of spring green too, so I took the tray outside and used a bit of sand paper to distress it by hand. Now, that was more the look I was going for. 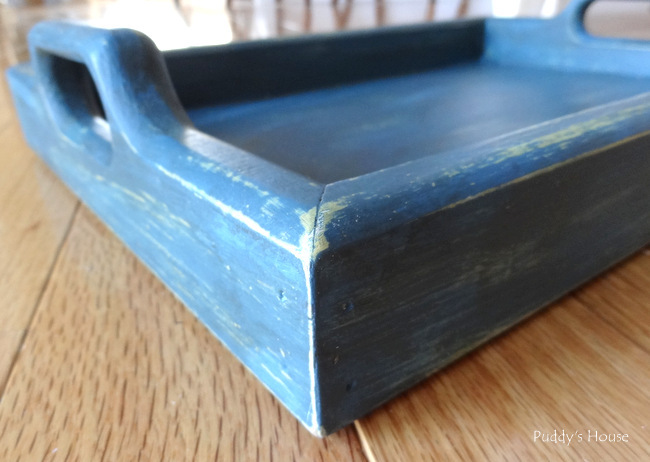 I finished this tray with a coat of Annie Sloan Dark Wax. 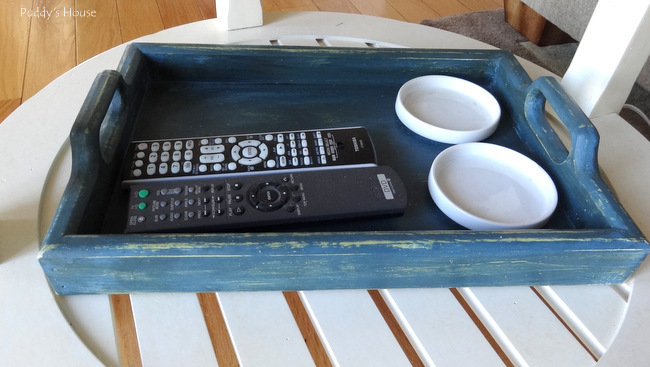 The tray definitely doesn’t blend into the end table anymore! Plus, I think the hints of spring green look good with the lamp. 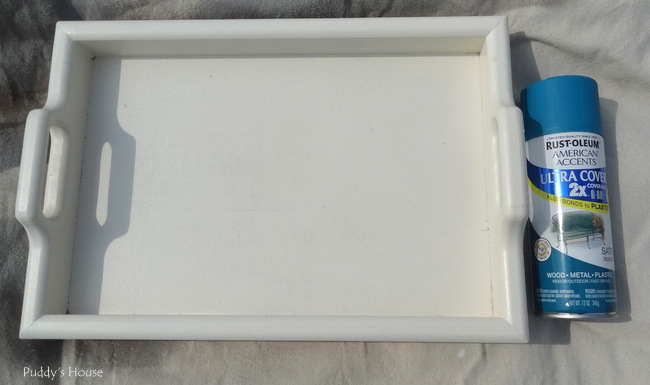 The second tray was a much simpler process. 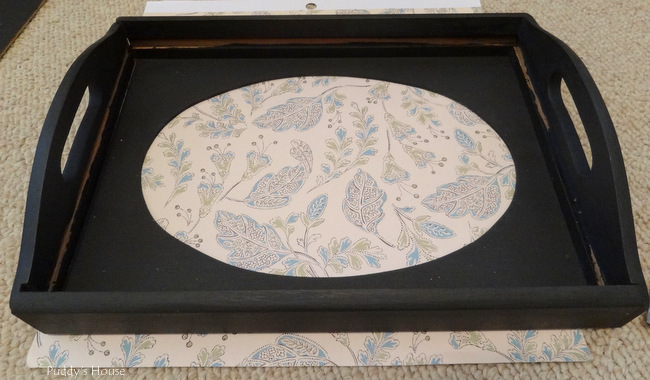 I started with the plain tray that I got quite a while ago, either at a yard sale or thrift shop. 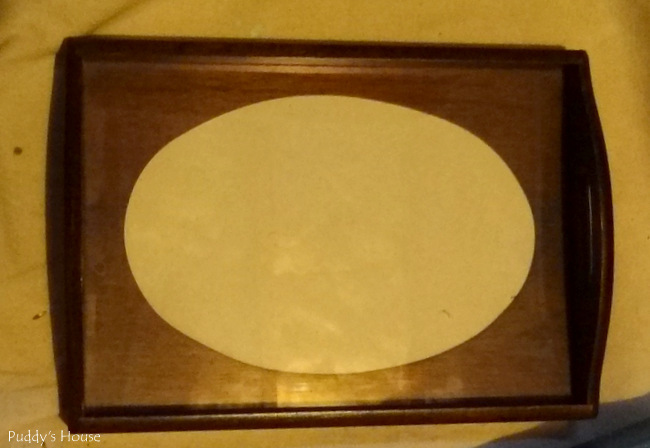 Sorry for the bad before picture….it was in my basement work area, which does not have the best lighting. I removed the glass and took the screws out of the sends to that I could work on all the sections at once. 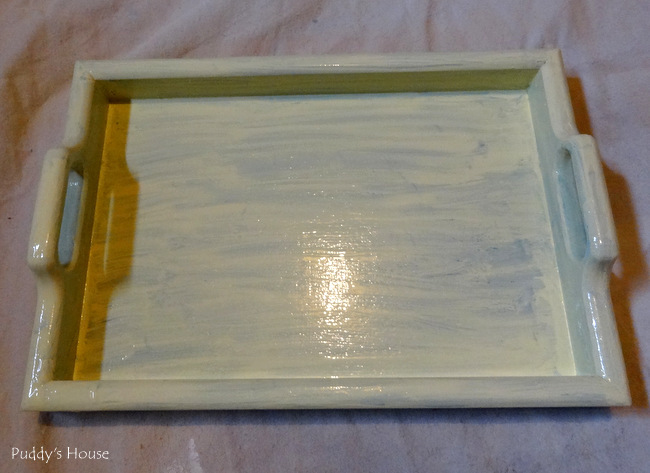 For this tray, I chose Annie Sloan Chalk Paint in Graphite and then followed it up with a coat of Dark Wax. Then, came the fun part. 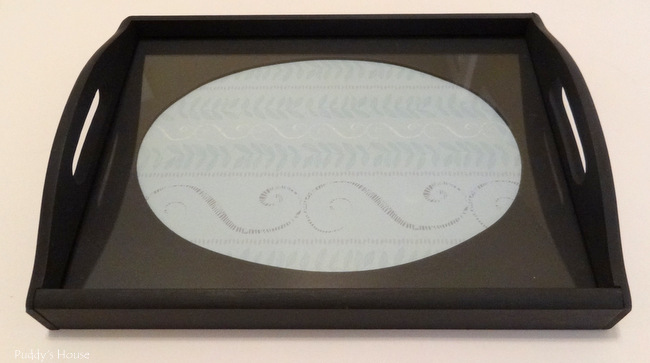 I wanted to put pretty scrapbook paper inside the oval frame. I pulled out several pieces and tried different ones to see what I liked best. I liked a few of them, but ultimately decided on the one in the tray below. Once I put the glass back in the tray, it became challenging for pictures again. But, I still really like the updated look. 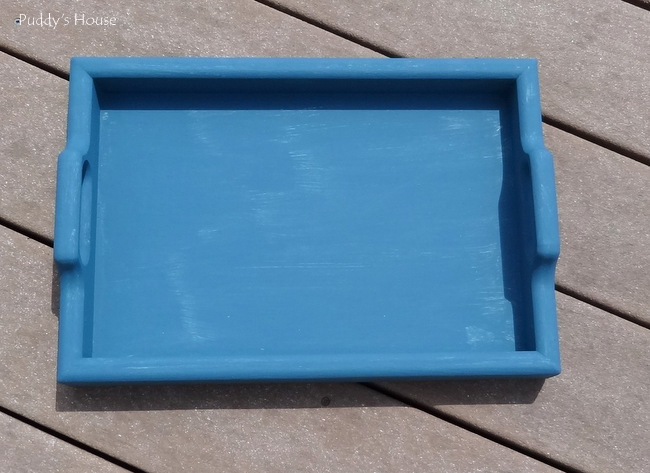 Do you have a plain tray around your house that could use a new look?